WASHINGTON – Lelia Parker grew up on a farm in rural Virginia and moved to the U.S. capital 30 years ago, seeking a more urban environment. But she still gets the gardening itch. Down the street from her Southeast D.C. home is a community garden, where tidy beds of succulent zucchini, peppers and squash grow. The garden is operated by the nonprofit group DC UrbanGreens. Not long ago, Parker discovered the site and began telling her neighbors about it and about how to cook with fresh vegetables instead of canned. 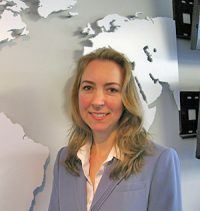 Now she’s a board member and the group’s outreach coordinator. 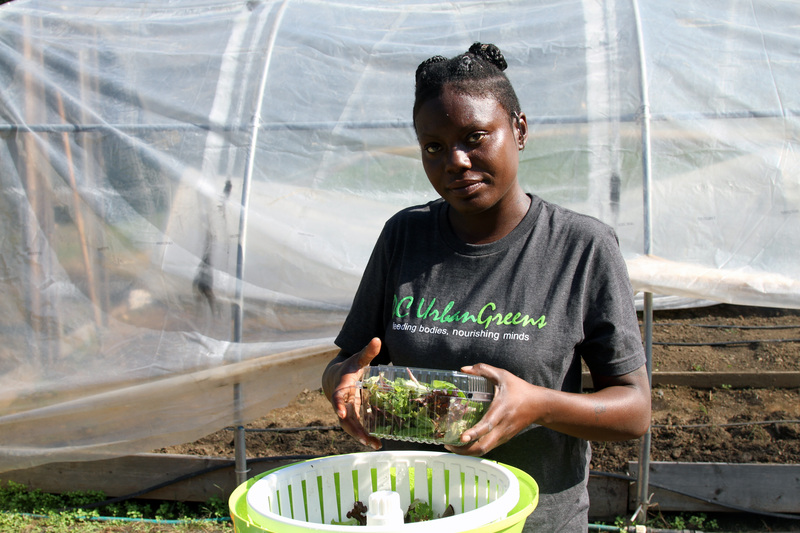 Julie Kirkwood, a construction project manager, and Vincent Forte, a lawyer, started DC UrbanGreens three years ago, with a goal to help provide low-cost fresh produce to people living in an area without easy access to grocery stores. They studied successful urban gardens in other states and learned about grant writing to fund theirs. They utilized neighborhood ambassadors like Parker and added two more sites. 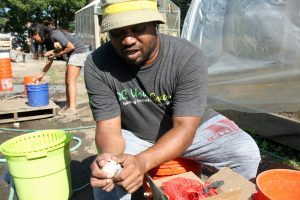 Now, they have three mini-farms in parts of southeastern D.C. labeled by the U.S. Department of Agriculture as food deserts — places usually in low-income areas that lack fresh fruits and vegetables. They gradually accumulated seven paid staff members, but surprisingly never had to advertise the new posts. People just came to them, from a variety of backgrounds and skill sets. They were drawn to the gardens and “never left,” as the co-founders recently put it. “There’s something to the fact that this staff was built this way. They’re wonderful individually and wonderful together,” said Kirkwood. Jacquana McIntyre is another D.C. resident who started as a volunteer and later put down roots with the group. “I always wanted to work outside,” she said. The former children’s day care worker noted that kids enjoy digging in the earth and learning how plants grow. But if they’re scolded for getting dirty, they tend to lose that curiosity. Now, McIntyre manages the newest DC UrbanGreens farm at Fort Stanton and sees it as an opportunity to revive that wonder. 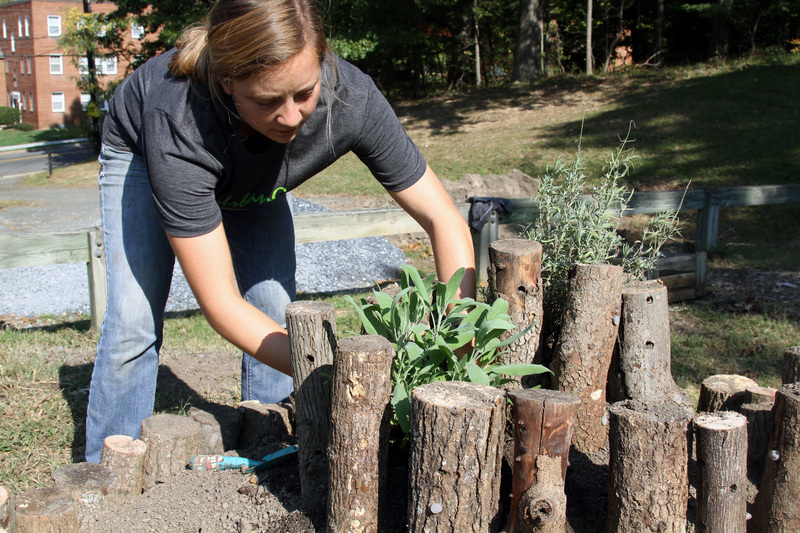 Children can pick out a flower by color and plant it, and in the process learn about the purpose of dirt, she said. DC UrbanGreens sets up farmer’s markets at the Fort Dupont Ice Rink, in addition to other sites around the city including the Unity Health Clinic and the Riverside Healthy Living Center. WIC and SNAP food assistance grants are accepted as payment. 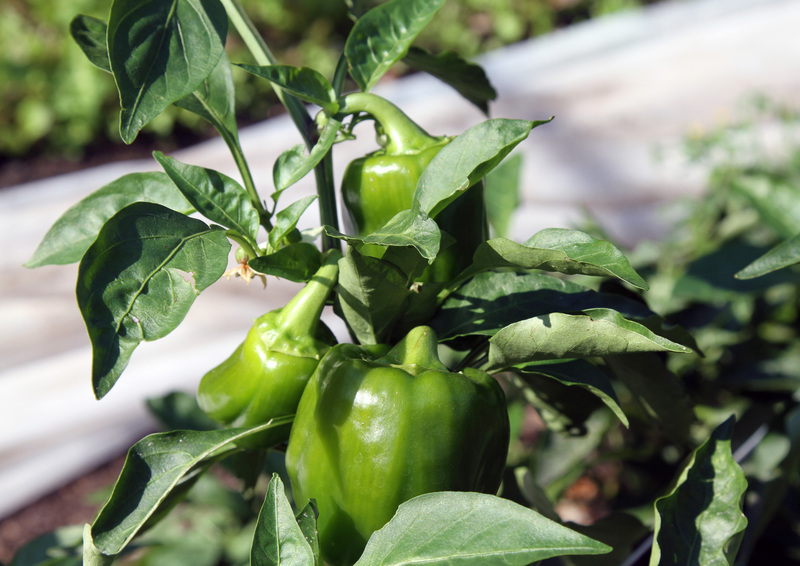 The garden is helping residents discover new produce. Parker said her neighbors knew about collard greens, turnip greens, sweet potatoes and white potatoes. But Swiss chard was a mystery, as were ways to cook it. “A lot of my people, the only way they know how to cook their vegetables is with turkey necks or ham hocks and boil them until all the nutrition is gone,” she said. Her mantra: Keep it crispy so the nutrition is still there. 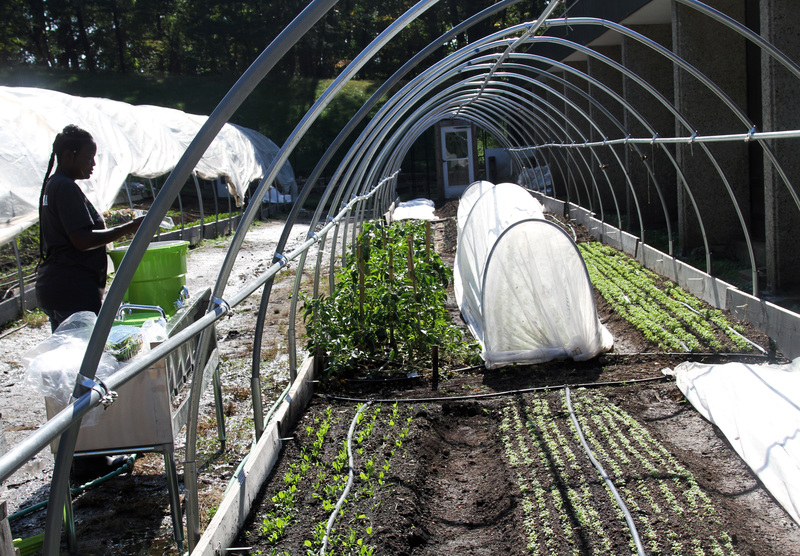 Anecdotally, neighborhood farms provide more fresh produce and improve people’s eating habits. But the impact of community gardens on food deserts hasn’t been well-researched, said Shelly Ver Ploeg, an economist with USDA’s Economic Research Service. Instead, the agency tracks how far people are from supermarkets and larger grocery stores. Parker, who lives near the community garden, agreed that putting a large grocery store in one part of Southeast wouldn’t be the answer anyway. “There are a lot of elderly people here with disabilities,” who can’t get around easily. So it still wouldn’t be convenient for them to get there, she said. Community farms, meanwhile, might have a big impact on nearby residents’ lives, but it might be more of a seasonal option, said Ver Ploeg. DC UrbanGreens tries to extend its growing season by building hoops with plastic sheeting around the garden beds. That raises the temperature inside by about 10 degrees and allows greens such as spinach to grow further into fall. Chop kale into small pieces. Pour oil into skillet, add onions. Toss until tender or to your taste. For a crispier version, cook for about 5 or 6 minutes.